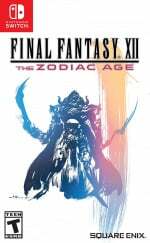 If you're planning to add Final Fantasy XII: The Zodiac Age to your game library on the Nintendo Switch at the end of this month, you might want to consider purchasing a physical copy. 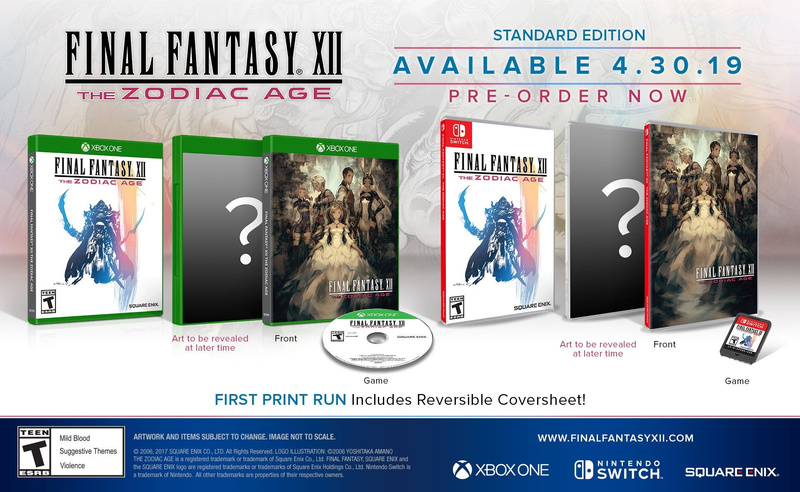 Apart from a reversible cover, the Zodiac Age will also include HD graphics, both original and remastered soundtracks, and an all-new trial mode. Additional enhancements include the ability to reset party member's jobs, more Gambit sets, and an improved New Game plus mode. What do you think of this cover? Will you be purchasing a physical copy of this game? Leave a comment below. That covers getting flipped! !This one looks awesome. Is that Fortress Bahamut ? Does the physical have the whole game on one cartridge? Beautiful, but I'm not playing the game again for a 4th time (especially after the excellent PC version). No, I will be buying this game digitally! I’m gonna get physical with this one. While I prefer the side with cast of characters, having a choice is always a good thing! I ordered the international versions of this and X from playasia.com to play with Japanese audio. I'm so glad Switch is region free! I don't know why they didn't include that feature for the standard version. It seems to me like there is a large audience of people who prefer foreign films and games in their original language. I am definitely going physical for this one. I already beat it on PS2 but this one is worth a double dip for sure. And that artwork looks pretty nice as well. Yep, I will definitely be using that reversable cover. I’m about 35 hours in now, having spent a loooot of time doing the hunts which is an excellent way to kill time. It’s just so relaxing on my laptop at x4 speed that I’m not sure if there’s any point double-dipping in the future. @Anti-Matter i wonder why the PS4 version is over 40gb in size if they can get it that small on Switch and with extra features? @Lioreoliver You might be onto something. I had to go back to game screenshots to tell, it does look somewhat like the Alexander, but bigger and with more parts. Sky Fortress Bahamut looks like a walking (flying?) tower. @Bobb That's right. 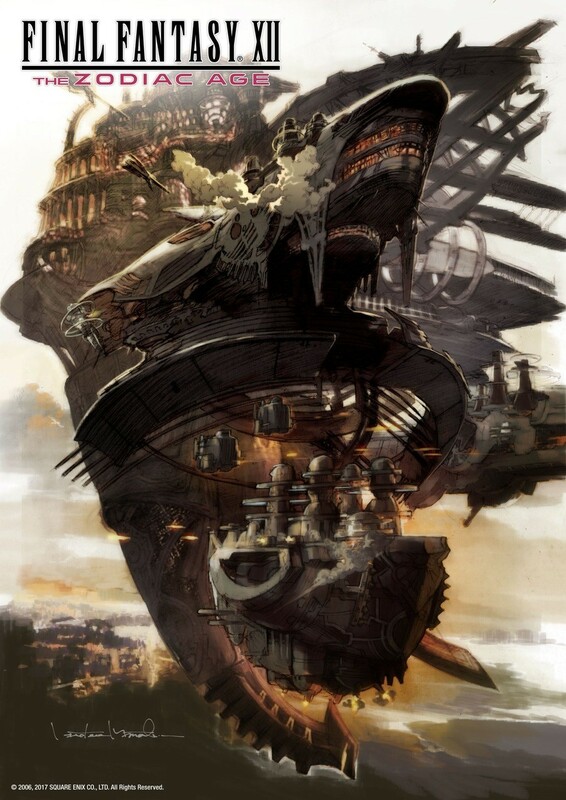 This cover art seems to display quite a few airships, but theres no sign of the sky fortress at all. The sky fortress, as you've described it, is a long jewel-like craft, whereas the Alexander Carrier is almost city-like with curved pylons and wings spread out. On closer look here, this is three or four different ships. I don't get it, I see three possible covers here... not two as a "reversible" cover would have. Can anyone explain this to me? @crudfish Where did you read/hear that the western version doesn’t have the Japanese voice track? Playasia.com had an add about it. The multi-language version has Japanese audio with english sub. I couldn’t find confirmation anywhere that the western versions for X and XII have ever had Japanese audio, in the past or with the Switch release. I think I’ll stick with my NA version for this one, but again thanks for the heads up. Hopefully I don’t get burned. I’m going Japanese on X/X-2 as well though, and it’s already been shipped! EDIT: I see you ordered from play-asia. Have you looked into Amazon Japan? I find they have better prices. Thanks! I’ll be sure to check there in the future. This is my first time importing a game—but probably not my last. I hope I’m wrong about the audio for XII, but I was ordering the two-cart version of X/X-2 anyway, so it made sense for me to get both. It's nice to see XII finally getting some recognition. It was always the forgotten FF. Can't wait to bring this home and play again on the go. Haven't played it since the ps2 era. I am so excited to play this in handheld form. There are so many great games that came out in the PS2 era that would be amazing on the go. Dark Cloud, Rogue Galaxy, and Star Ocean to name a few. We probably wont get those, but a man can dream.. I'm always a sucker for decent game art. I'll be grabbing this at some point! It's gonna be a busy gaming summer, this is one in definitely getting! @DockEllisD does the Japanese version for X/X-2 come with two game carts? I went to the play Asia site and the description just says one only. @arrmixer I haven’t received mine yet, but to my understanding both games are on one cart. Aww. I forgot this was at the end of the month. I really need a money tree. Will likely trade in my unopened PS4 copy. @NEStalgia You know that 12 came out on the PS4 a while ago, right? @Crono1973 Yes, I know, I bought it.